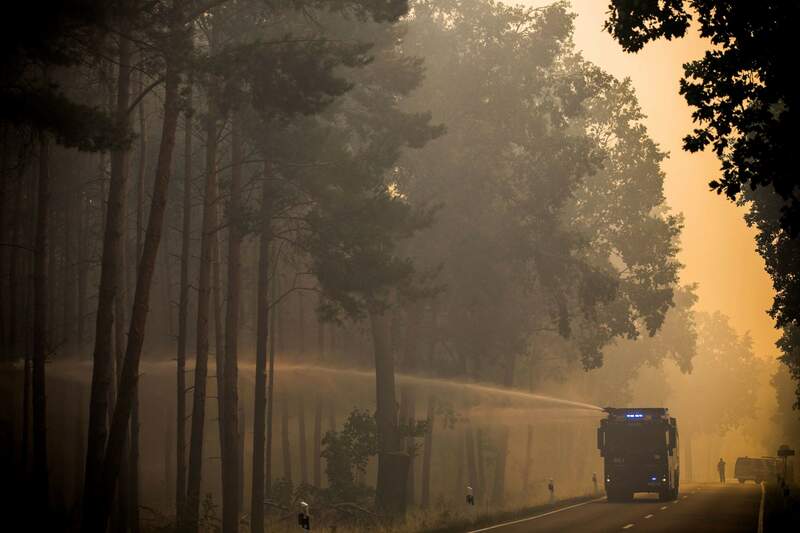 Firefighters battle a wildfire near the village Klausdorf, about 50 miles south of Berlin on Friday. 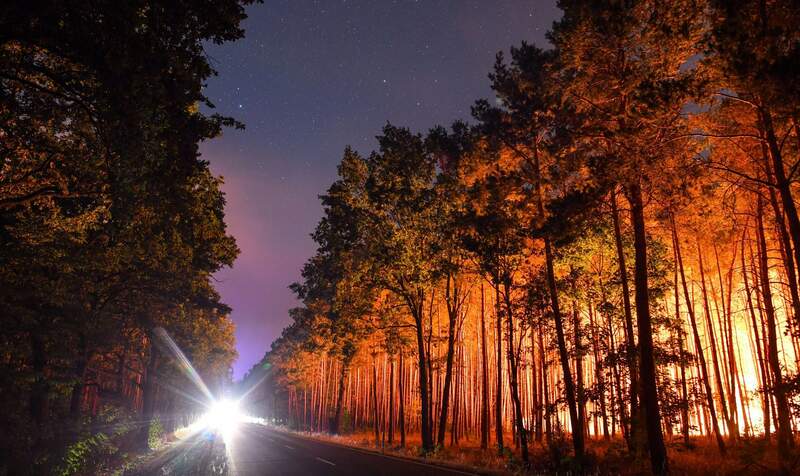 A forest is lit by wildfires near the village Klausdorf, about 50 miles south of Berlin on Friday. 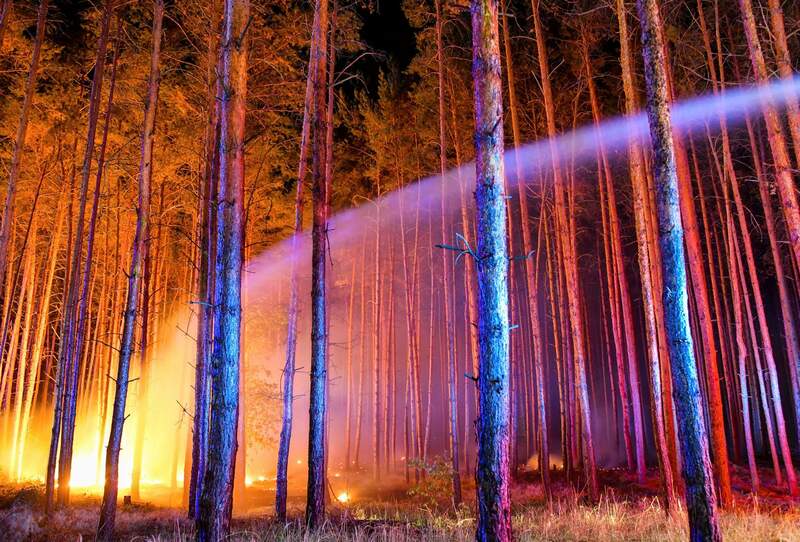 A police water cannon sprays water into a forest near Treuenbrietzen, south of Berlin, Friday. 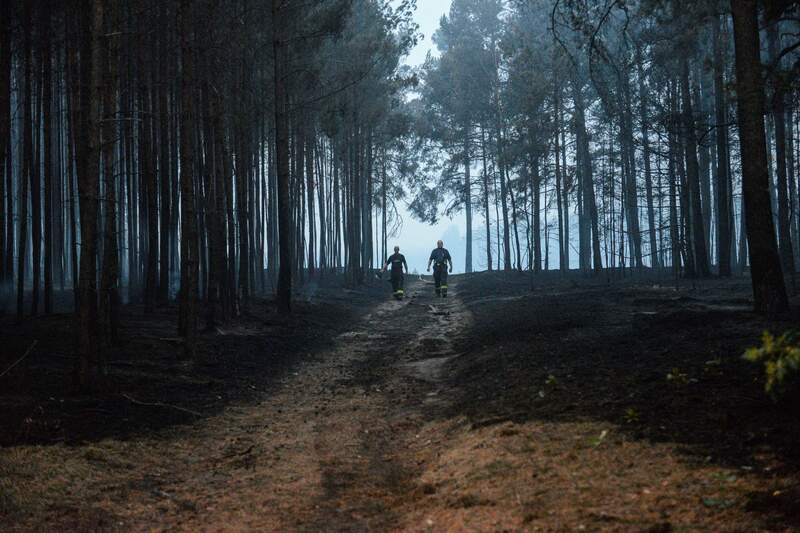 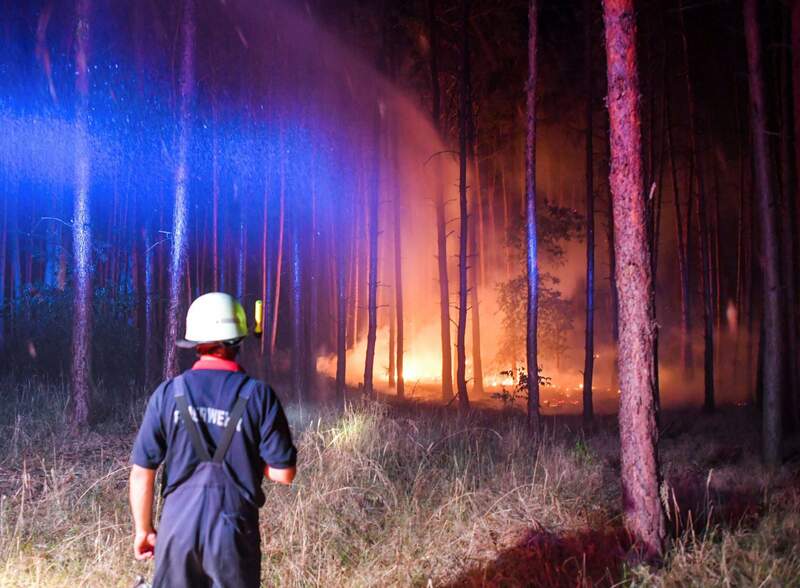 Firefighters walk through a forest in Treuenbrietzen, south of Berlin on Friday. 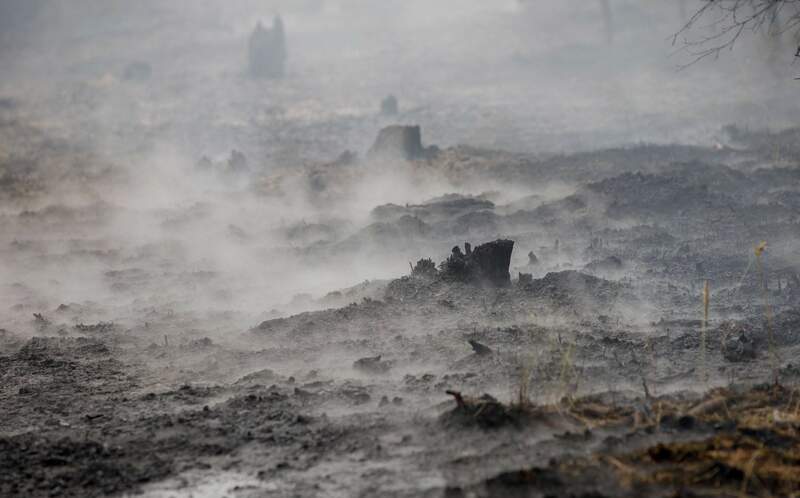 Smoke rises between the remains of burned trees into a forest near Treuenbrietzen, south of Berlin, Friday. 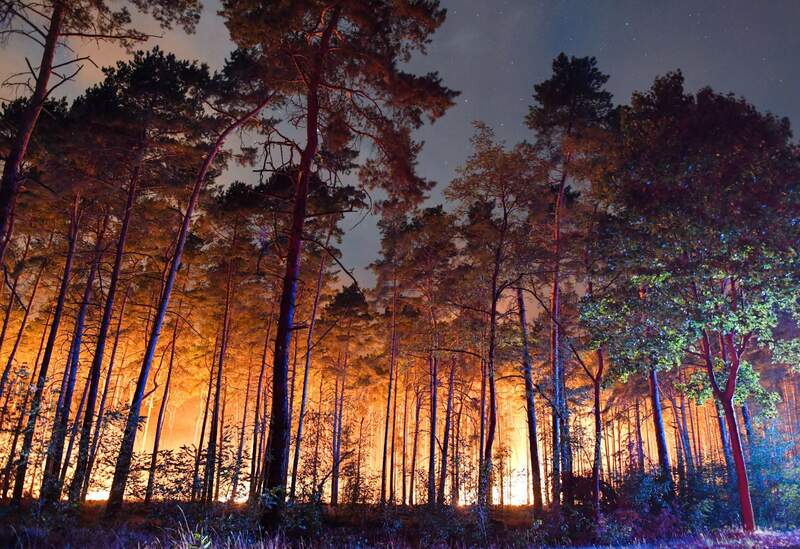 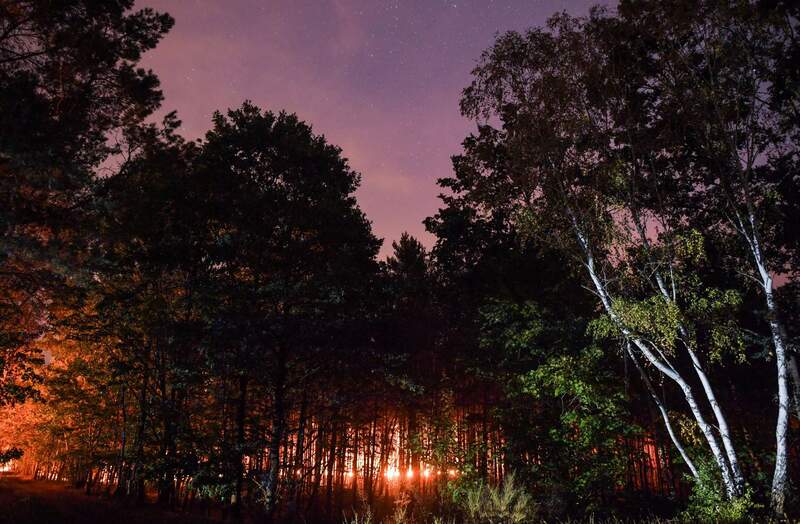 A fire burns in the forest near the village Klausdorf, about 50 miles south of Berlin on Friday.